If you have ever met Bob Coomber rolling around at one the Abilities Expos, you know that this is not a man vs. the wild kind of a film. Bob is an outdoorsman to the core, always encouraging people to experience the healing power of nature regardless of their level of ability. 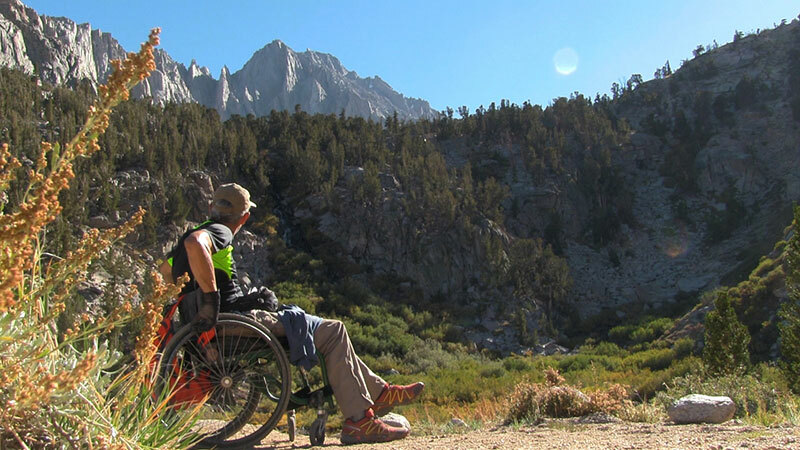 It's more like a man embraces the wild kind of film, and this man's determination to cross the 11,845 foot Kearsarge Pass in the Sierra Nevada in his wheelchair is a must-see. Spectacular mountain vistas provide a striking backdrop to Bob's sheer force of will and impressive hiking adaptations. He clears is own trail of obstacles and, on many occasions, exits his wheelchair with his back to mountain in order to pull himself and his chair up steep grades. Los Angeles Abilities Expo attendees will be some of the first to share Bob's hiking adventure. 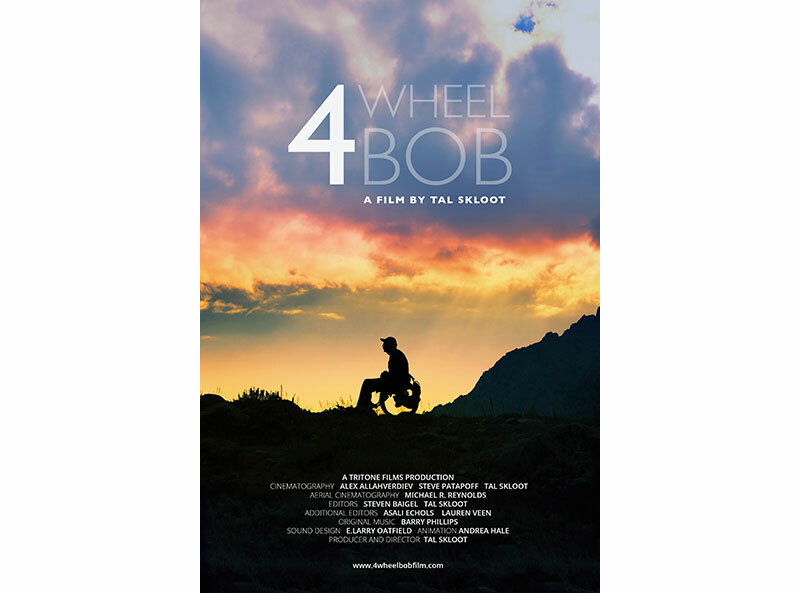 4 Wheel Bob will screen at 6:30 pm on Saturday, March 25 just after the Expo show floor closes. Following the film, both Bob and Director Tal Skloot will field questions from the audience. According to Bob, "My greatest hope for the film is that it moves many who have ideas such as mine to action. Life is never simple, but with a little imagination and help from your friends, it can be spectacular!" I first read about Bob in a newspaper article back in 2010. My first thought was "That sure puts my life in perspective." My second thought was, "How the hell does he get up those steep dirt trails in a wheelchair?" I've been an avid hiker all my life, and can relate to how simply being outdoors lifts the spirit and connects us to nature and the glory around us. I contacted Bob out of the blue and we met for what was to be the first of many unconventional hikes together. What stuck about Bob was his easy going, sweet and gregarious nature. During our first hike, Bob stopped and talked with everyone we met—a kid on a dirt bike, a fellow hiker, a woman walking her dogs and the dogs themselves. He shared a bit about the ecology of the area or talked about his upcoming hikes. I felt like I was hiking with a park ranger—someone who had a deep passion for ecology and who immediately and compassionately connected with others. Bob, let me hasten to explain, hates being called "inspirational." 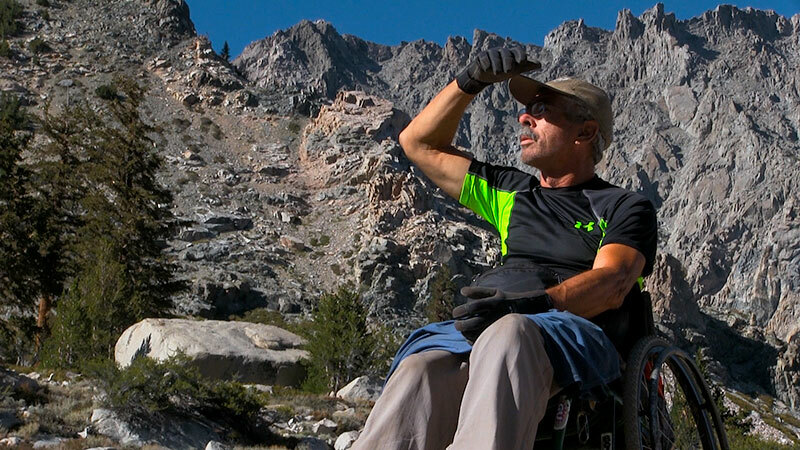 He views himself as a hiker and nothing more—one who just happens to be in a wheelchair. I came to see that these hikes and especially the arduous Sierra climbs served two powerful needs for him: to attempt to conquer virtually any obstacle despite his disability, and to open himself to the natural world and its mysterious ability to heal. I spent six years hanging out with Bob, and I'm grateful, above all, to have found a marvelous new friend. Like many who come into his orbit, I've become more fearless (or is it foolish?) in the challenges I'll accept. 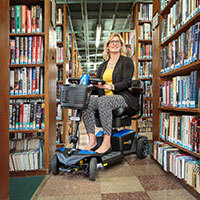 I walk in the wild world differently—a man who wheels rather than walks taught me that. For more on the film, visit www.4wheelbobfilm.com.